Yumotoya is traditional and historic Japanese inn located in a picturesque rural landscape one hour from Niigata Airport. Yumotoya began operating as a therapeutic bath in 1880. Small lodgings were later built and transformed the business into a Japanese-style hot spring resort. The business was further expanded in the early Showa Era with additional buildings. 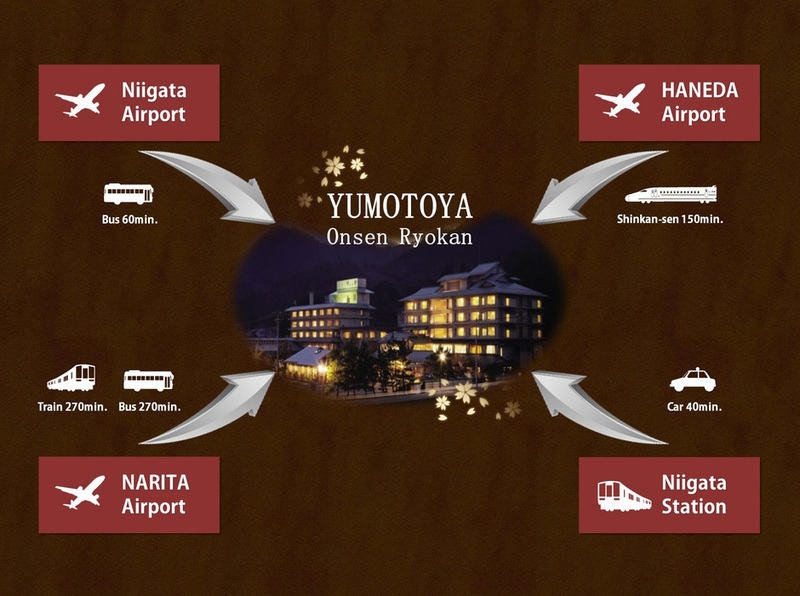 Today, Yumotoya is highly rated and a popular choice of lodging by both regular Japanese guests and foreign travelers. The Imperial Suite is a luxurious choice of accommodation complete with a spacious living room furnished with a 10-person sofa affront a magnificent view of the surrounding landscape, and two tatami matted rooms. The suite can be used for parties in addition to overnight stays. 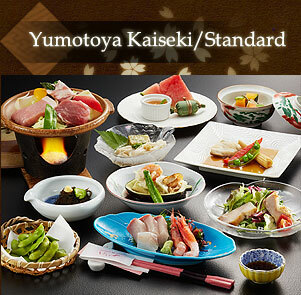 Also available are a Western Tatami Room that come with two beds and a Deluxe Tatami Room. 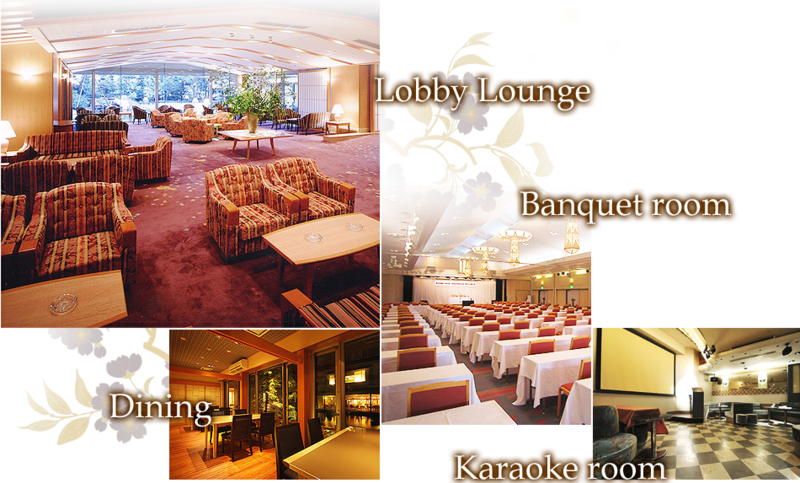 Both rooms face onto an accessible Japanese garden and serve as a perfect choice for VIP guests from overseas. The common open-air bath is made of cypress wood and situated on a wooden deck affront a natural wooded landscape. The tub is large enough to accommodate four people of typical foreign build. Hot springs are a popular travel destination in Japan. 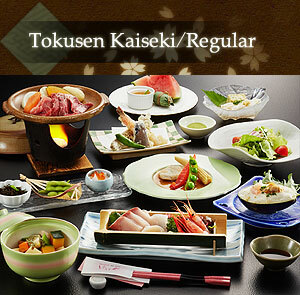 We invite you to discover what the Japanese enjoy so much about soaking and relaxing in a carefully prepared hot bath. They not only have a long history but are also known for their contained minerals and therapeutic benefits. In Japan, families and couples are avid users of “reserved baths.” At Yumotoya, the reserved bath is available for an extra charge and can be requested at the Front Desk. to UNESCO's Intangible Cultural Heritage list. 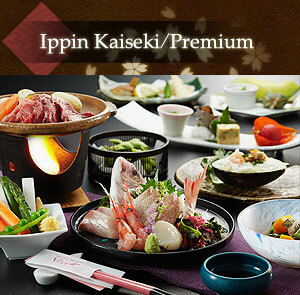 Niigata is famous for sashimi, grilled fish and Japanese beef. Food can be specially prepared for allergy sufferers, but will depend on product availability. Please make any food-specific requests prior to checking in.